Due to fixed costs refunds will not be provided and are made at the discretion of the event partner. The event will not be cancelled due to bad weather except for a declared state or federal emergency. Volunteers are welcome! Please email mbcd612@gmail.com if you are interested! NOTE: The Agenda is subject to changes! Teams must be checked in 45 minutes prior to the start of the qualification matches so that the match schedule may be printed. Teams must contact the event partner if they are running late or they will be removed from the team list for the event. Teams must be paid two weeks prior to the event. Teams not paid at this time may be dropped at the event partner's discretion to allow teams in from the wait list. This is the highest award presented in the VEX Robotics Competition. 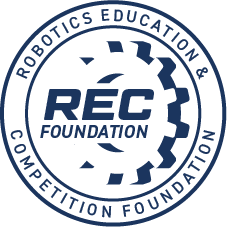 The recipient of this award is a team that exemplifies overall excellence in building a well-rounded VEX robotics program. This team excels in many areas and is a shining example of dedication, devotion, hard work and teamwork. As a strong contender in numerous award categories, this team deserves to be recognized for building a quality robot and a team committed to quality in everything that they do. 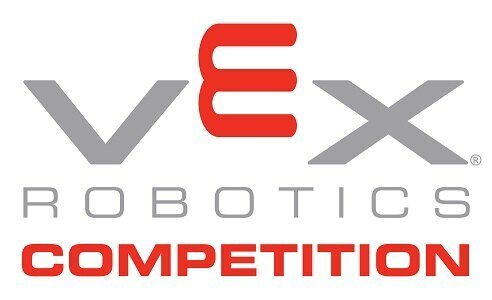 Using this wide range of criteria, the Excellence Award will be presented to the team who excels in all areas of VEX Robotics. This award is presented to a team that demonstrates an organized and professional approach to the design process, project and time management and team organization. The winning team will be able to describe how they implemented an efficient and productive design process to accomplish the project goals. The Engineering Notebook is a way for teams to document how the VEX Robotics Competition experience has helped them to better understand the engineering design process while also practicing a variety of critical life skills including project management, time management, brainstorming, and teamwork. The Engineering Notebook requirement of the Design Award has no specified format; each notebook should be created through a concerted effort by a team to document their design decisions. Teams should start their notebooks early and update them often. Engineering is an iterative process. Iteration requires a student to recognize and define a problem, brainstorm and work through various stages of the design process, test their designs, continue to improve their designs, and continue the process until a solution has been identified. During this process, students will come across obstacles, encounter instances of success and failure, and learn many lessons. It is this process that students should document in their Engineering Notebook. Additionally, the Engineering Notebook is an opportunity to document everything a team does so that it can serve as a historical guide of lessons learned and best practices. Students may include a plethora of things in their Engineering Notebook including: team meeting notes, design concepts and sketches, pictures, notes from competitions, team members observations and thoughts, team organization practices, and any other documentation that a team finds useful. The team should also document their project management practices including their use of personnel, financial, and time resources. Teamwork, interview quality, and team professionalism. The Judges Award goes to a team the judges decide is deserving of special recognition. Judges consider a number of possible criteria for this award, such as team displays of special attributes, exemplary effort and perseverance at the event, and team accomplishments or endeavors throughout the season that may not fall under existing awards - but are nonetheless deserving of special recognition.